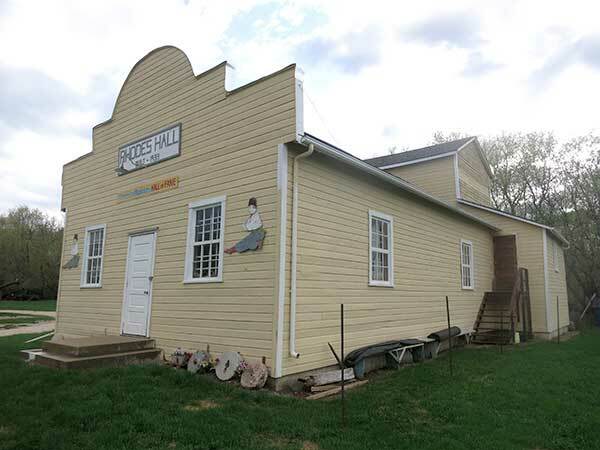 Built in 1933, the Rhodes Hall in the Rural Municipality of Ethelbert was used for various public functions—dances, dinners, political events—as well as theatrical productions. Last used as a hall in the mid-1980s, this municipally-designated historic site was later relocated to the Selo Ukraina Festival Site south of Dauphin. Rhodes Community Hall, Selo-Ukraina Festival Site, SE-4-24-19W, Dauphin area, Manitoba Historic Resources Branch.